So, I’ve been thinking about finding myself a fitness challenge for a while. To have a purpose with my training and also as a way of pushing myself to a more fit lifestyle. To give the workouts and weight loss an actual purpose more than just health. I’ve been running more or less for about ten years but never really focused. Competitions I’ve participated in have all been 10km races but no longer distances at all. I’ve been running for a way of both getting exercises but also as a mental pause in my professional life where running has been my meditation time. A few years back I started to grow a fascination for ultra running. Not that I started to run the distance myself but a profound interest in what drives people to endure the pain that is connected to ultra distance running. Reading the book ‘Born to run’ by Christopher McDougall just increased my interest and finally when I watched the documentary about the Barkley Marathons over at Netflix I decided for myself; said and done time is here. This brings me to the present. Last week I did what I’ve been thinking about doing for all this time, I registered for a ultra marathon in late summer of 2018, Ultravasan 45km. This gives me about a year to get in shape for the distance and prepare my body for some longer distance running. 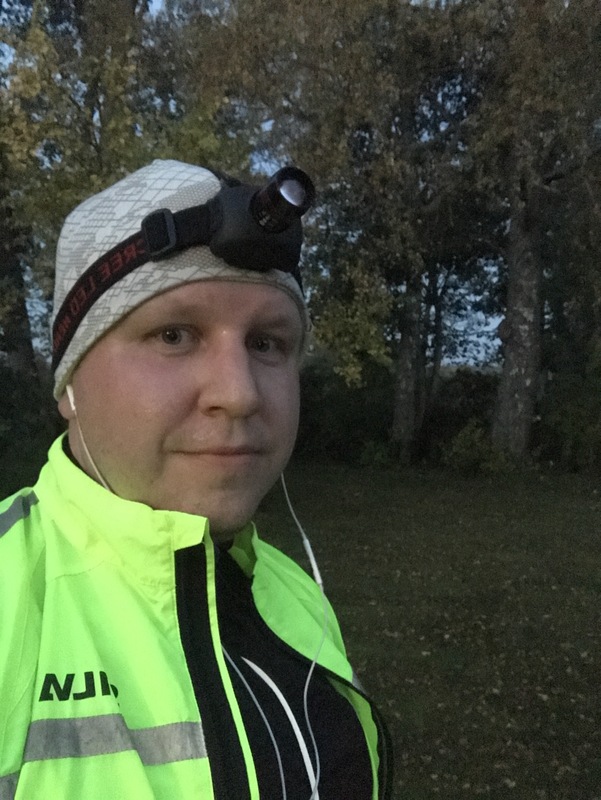 I am using Runkeeper as my app of choice to create a training plan to reach my goal and I’ve set a few milestones along the way to see if I’m progressing. Still evaluating both Strava and Endomondo too though. My old trustworthy Garmin Forerunner 310XT is still the watch I use for heartbeat and distance measurements but connected to my goals is also to upgrade this watch to a newer version with more functions. As long as I use a Garmin device all data will, however, be synced to Garmin Connect. 10km run at a calm pace with controlled heartbeats in November.